We had the opportunity to spend one day in Girona when we visited Costa Brava for the Travel Bloggers' Exchange (TBEX) conference. We made a week of it starting in Languedoc and then taking the train to Costa Brava with Girona as our gateway. 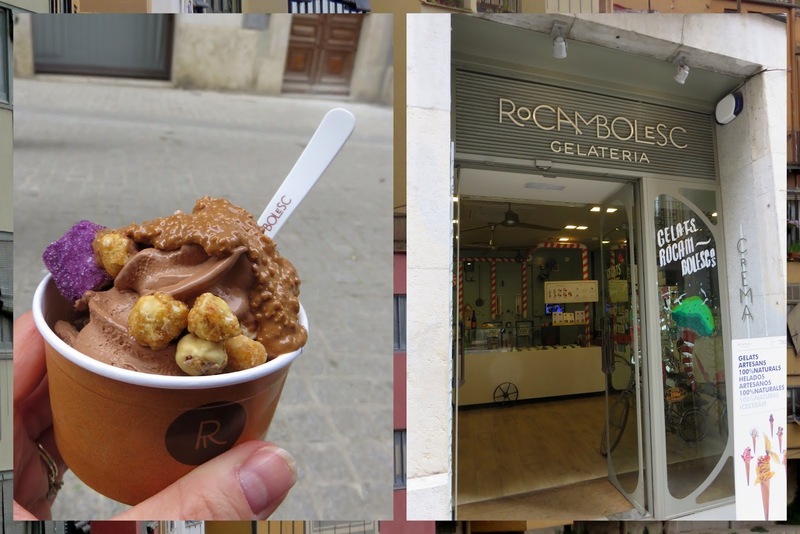 We definitely made the most of Girona in a day before our bus departed for Lloret de Mar. Read on for eleven things to do, experience, and (of course!) eat on a short visit to Girona. With any new place, it's important to learn the abc's and lay a strong foundation. 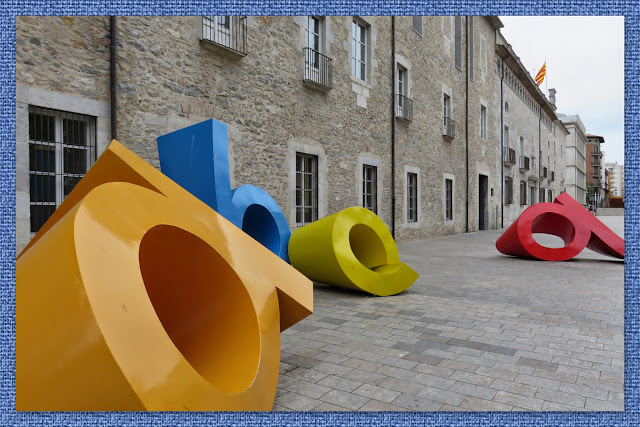 We took that literally in Girona and admired the brightly colored letters that popped against the stone walls of the town. 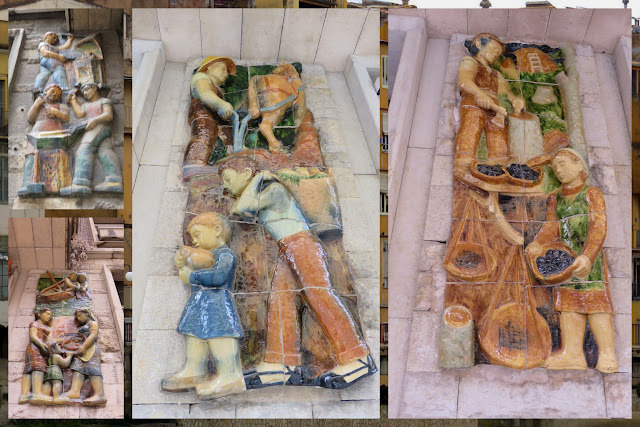 Keep an eye out for art installations throughout the town. Girona is a particularly well preserved town in Costa Brava and the reconstructed town wall adds to the charm. 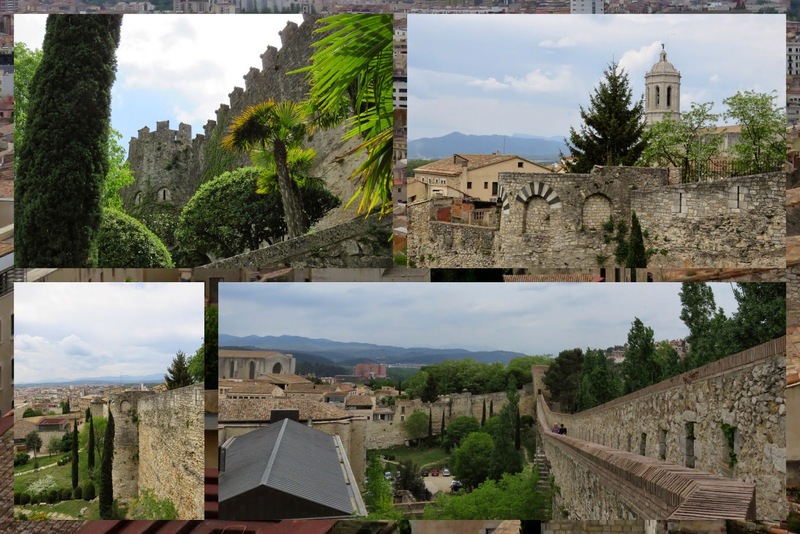 Girona has been subject to 25 sieges during its history so it's no wonder it has such an imposing wall. The walls were demolished in the 19th century so the city could expand but some parts have been reconstructed. A walk along the wall was definitely the highlight of our visit and offered sweeping views of the town below. Girona has a number of spectacular churches dotting the 'skyline' including the Girona Cathedral and Basilica of Sant Feliu which can both be entered on a single combination ticket. The cathedral also features a quiet courtyard and cloister...very zen. 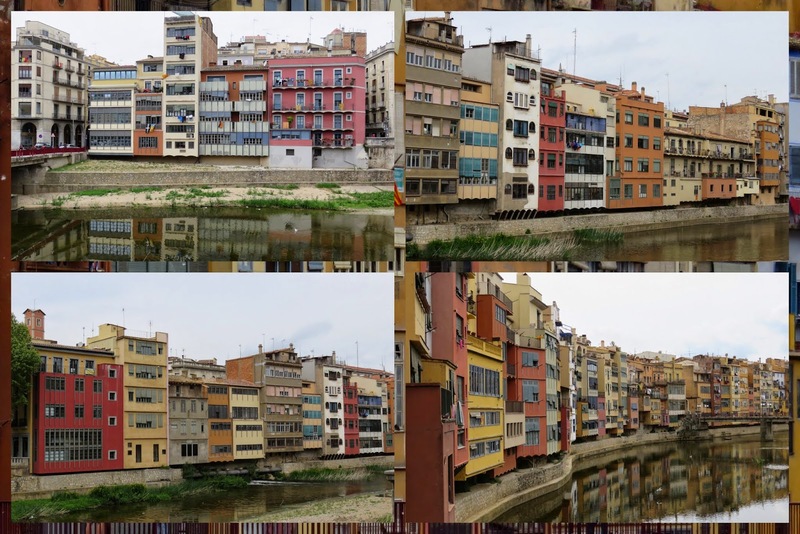 Girona sits at a confluence of rivers and features a series of boxy and colorful residences tumbling out along the River Ter. A number of bridges span the river and offer a great vantage point for photos. I loved the colors and textures of the buildings here. 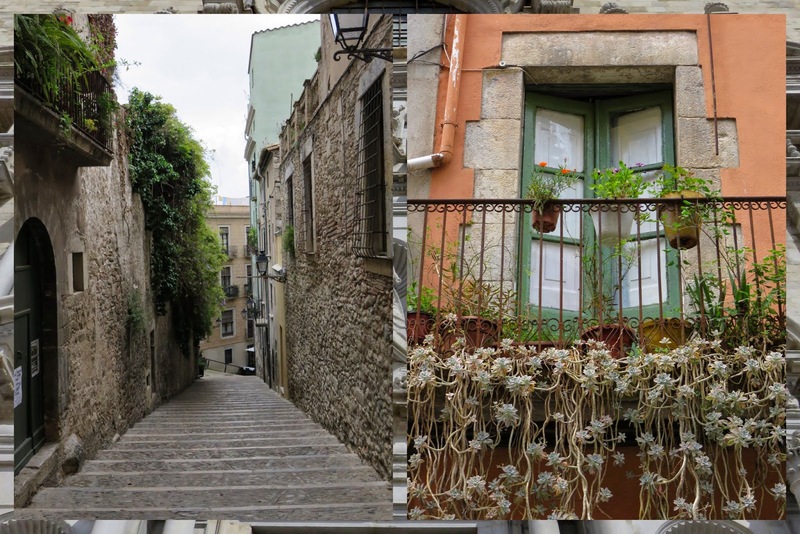 It's easy to let yourself get lost exploring in Girona. The town sits on a hill with narrow staircases dotted about. 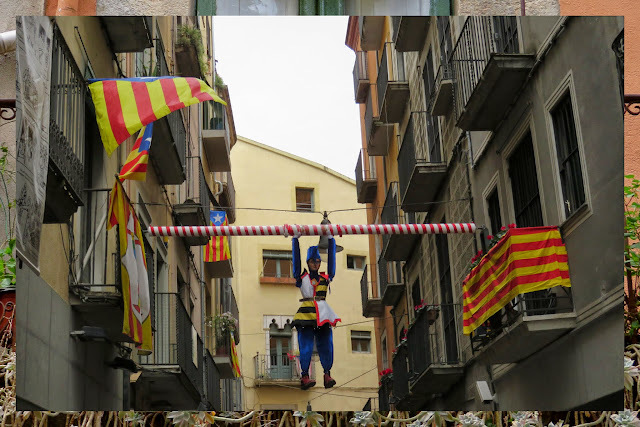 I liked looking at how the locals had dressed up their balconies with riotous flowers. 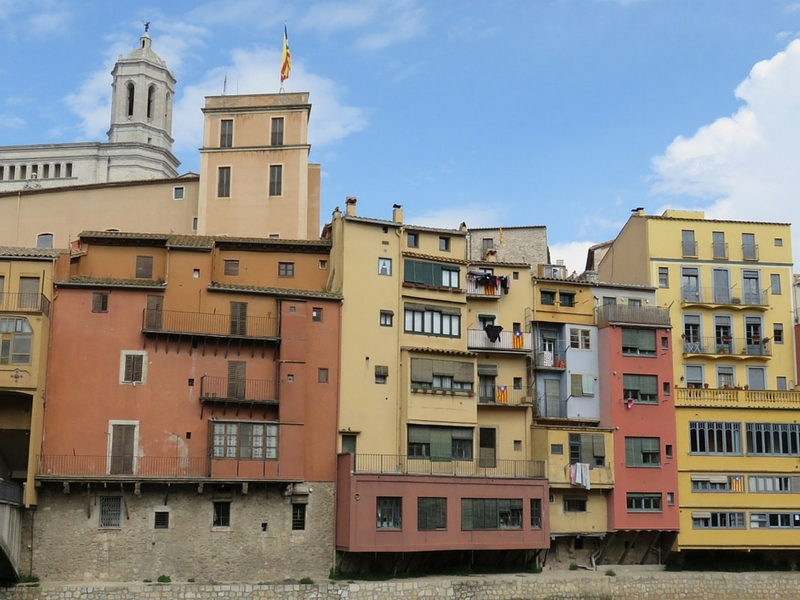 Girona is in the heart of Catalunya. You won't see the Spanish flag flying here. Instead, the yellow and red Catalan flag flaps in the breeze or is draped off balconies to show off their owners' Catalan pride and independent streak. An informal vote in November suggests that 80% of residents are in favor of leaving Spain in favor of an independent Catalunya. We love a good value-for-money menu of the day (menu del dia) when we visit Spain and Girona was no exception. We passed an unassuming restaurant, El Pati de La Veïna, and something drew us in. 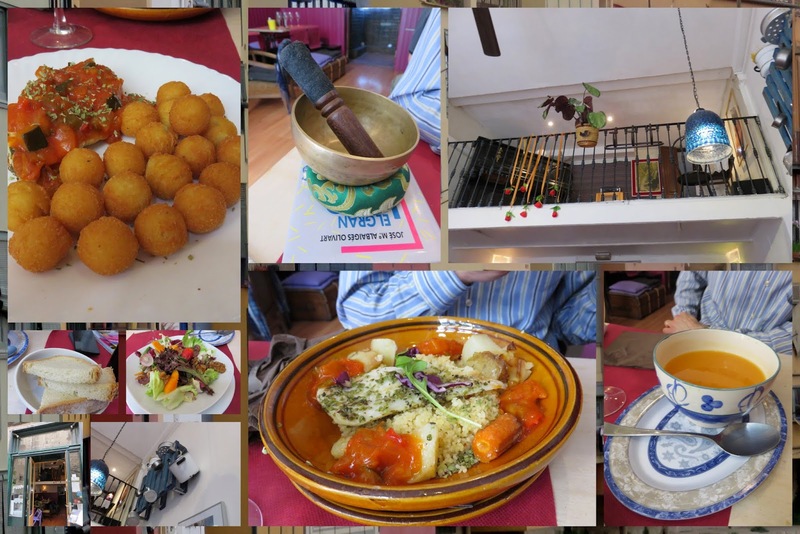 It could have been the zen atmosphere as typified by a mindfulness bell perched on our table or the fact that we'd get two delicious courses with coffee and a glass of wine for less than 10 EUR. Either way, we enjoyed this quirky and quiet restaurant nestled among the cobbled streets of Girona. 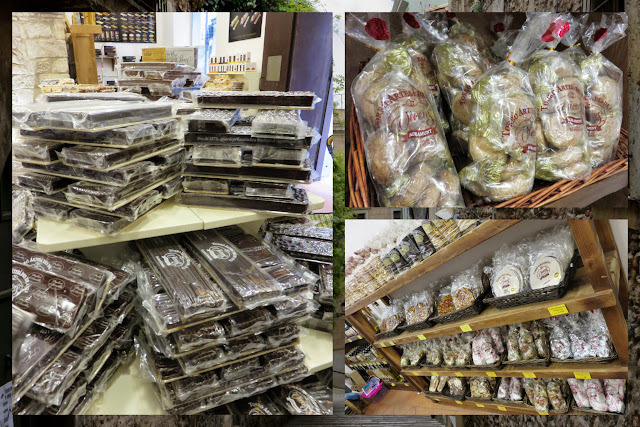 Eating seems to be a theme when we travel and food memories always linger the longest. We'd been in Girona less than 10 minutes when the smell of fresh baked goods wafted over to us from a bakery across the street from the train station. 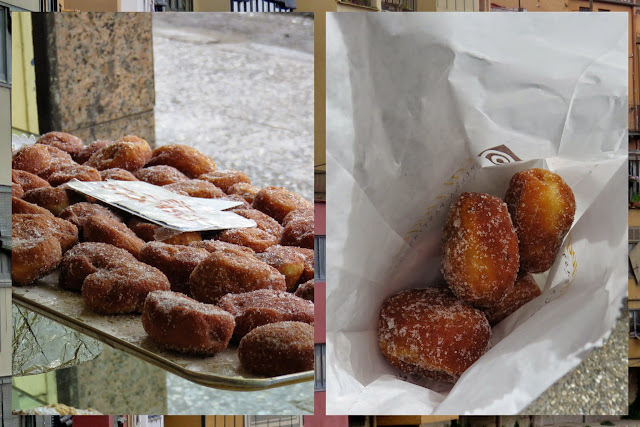 We sampled a small bag of bunyols; fried doughnuts covered in sugar and flavored with just a hint of anise. Yum. I most definitely have a sweet tooth so we were pleased to find Torrons Vicens Girona, a shop offering all sorts of regional specialties including torrones, mantecados, chocolate and more. We could have shopped for hours. It was a warm and sunny afternoon in Girona when we visited and we were beginning to wilt a bit. Living in Ireland means we have a much lower tolerance for hot weather. Nothing revives faster than a bit of ice cream. Rocambolesc featured a variety of imaginative flavors and toppings. We opted for a more traditional chocolate ice cream base but topped it with lavendar marshmallows. Yum. One our way back to the train station, we spotted a series of plaques adorning the walls of some local businesses. They seemed to capture a slice of life in this vibrant city from a bygone era. We took some time to admire the artwork before making our way to the bus that would take us to Lloret de Mar and TBEX. Even though we only spent a few hours in Girona, we felt like we got a strong feel for the place and hope to visit again sometime soon for a more in depth visit. 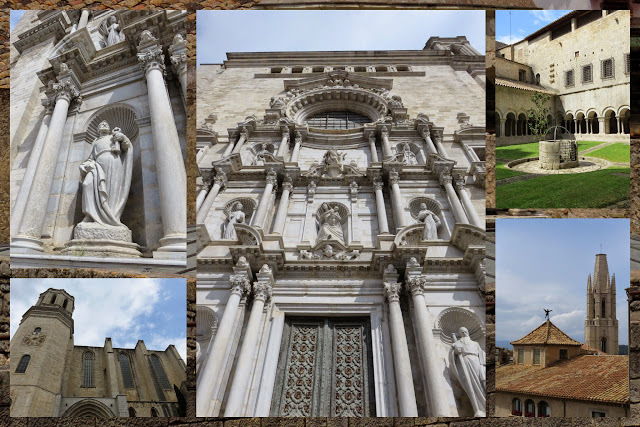 Experience one day in Girona Spain. Find out about things to do in Girona in a day. 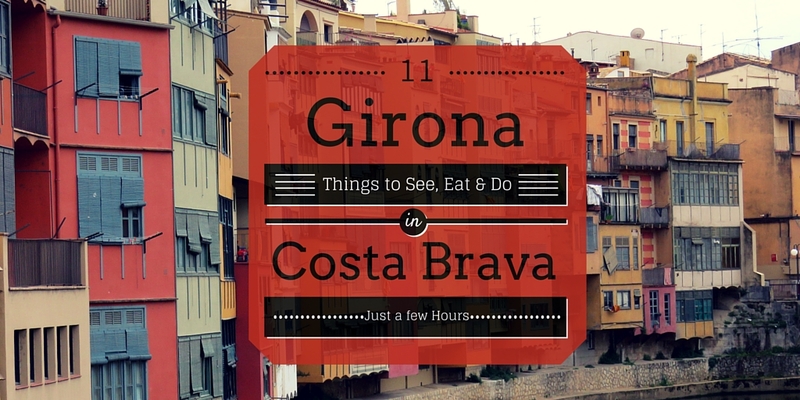 Read about 11 things to do, experience and eat on a short trip to Girona.